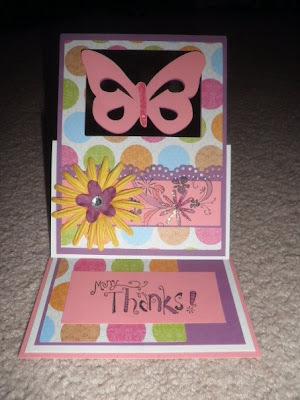 Paper Crafts by Candace: My first GYPSY card!! This is the first thing I've made with my Gypsy which I got for Christmas (Thanks hubby!!). Sorry the picture is so dark, that is actually not black paper behind the butterfly. There is no paper behind the butterfly. 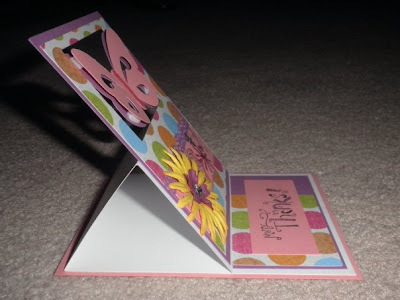 The card does fold down flat so it can fit in an envelope. Thanks for looking! I just love your card...its really really pretty!! !